It's hard to write a piece about a film that in itself is a piece of writing. 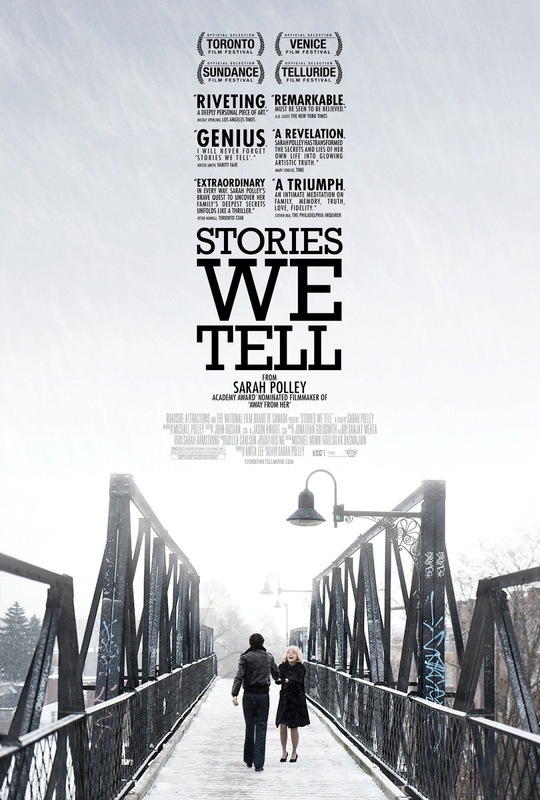 While Sarah Polley's Stories We Tell has been billed as a documentary it is very simply put: more than that. It is an account of a persons life story told from the perspectives of those that surrounded her. It is an investigation not only into the story that is being told, but into how several different perspectives might form what is closest to whatever the truth of the actual situation might be. The word truth is in itself a very vague term that is defined as the quality or state of being true. Is the truth really one, singular way of looking at things or is it different things to different people who see different aspects or varying perspectives of the same events? How much is one person missing of the bigger picture that might inform his or her limited opinion or their "truth" of the matter? There is a whole muddled road one could wander down in search of that unattainable idea that purports itself as what we call "truth" and in many ways that is what Polley has done here. She has taken a figure so vital to her existence yet someone she never really knew and has tried to get to know her through the stories people tell about that figure when she is brought up in conversation. There is a profound severity to everything going on here while each of the storytellers bring that undeniably comedic aspect of the human element into everything they are discussing. It is a film that dissects life and all of the countless stories that happen within it everyday while helping those of us interested in the arc of a lifetime better comprehend that all of these stories were never really set up as stories or planned out beforehand, but are instead the unknown futures of people who have lived out most of their time on earth and have created the events we now look at as inevitable yet caused them genuine reactions in the moment that they actually occurred. There is an element of existentialism to the whole thing, but it is more analyzing how that free will impacts the generations that follow rather than the development of those who exercised it. 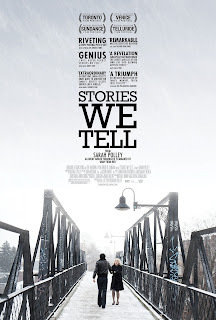 Harry Gulkin and Sarah Polley share a moment in Stories We Tell. Such is the fact that it includes all of these layers through nothing more than interviews and footage staged to look like flashbacks and create the authenticity of nostalgia it is hard to summarize what exactly the film is in a short piece. 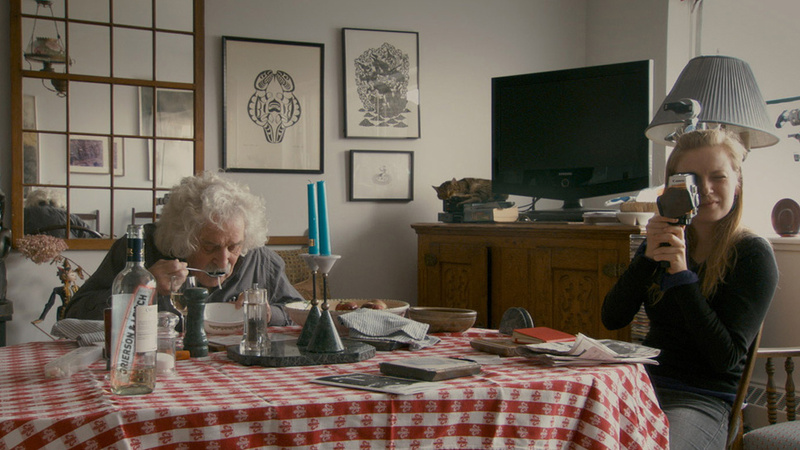 I've read summaries that keep it as simple as saying it is a film that excavates the layers of myth and memory to find the elusive truth at the core of a family of storytellers. While that certainly doesn't delve much into what is really going on here it sets up a nice enough starting point to get us intrigued. Director Polley is an actress as well that you may recognize from Zack Snyder's 2004 re-make of Dawn of the Dead and that fairly awful 2010 horror/sci-fi flick Splice. Regardless, she has become quite the well-renowned director with her 2006 debut Away From Her and last years Take This Waltz.I disliked Waltz so much that it ended up on my worst films of the year list last year, but I couldn't feel more opposite of what I experienced with Stories We Tell. Not necessarily because it is a great film, but because of how honest and insightful it all truly is. With Stories Polley strips away the traditional narrative, the hiring of actors, and countless other factors that typically go into making a feature film and instead has decided to focus solely on a personal journey that, as she states near the conclusion of the film, she wasn't even sure she wanted to share with anyone else. This is very much a journey for her as it is an interesting story for us to watch unfold as the interviews with those involved slowly peel back the layers of not only what role they played in the life of Diane Polley, but also what role she played in theirs that simultaneously gives us a picture of who she was. Who she was in relation to Sarah would be her mother. A mother who she never came to really know due to the fact cancer took her away only eleven short years after Polley was born. To go on this journey to discover who her mother really was Polley rounds up a group of people including her siblings, her father and an abundance of friends to help her piece together the mystery that has plagued their family for years. In retrospect, the most poignant message the film sends is that of how we treat our memories. It is a fascinating thought to break down that when a person dies it is those who knew them and their memories with them that will forever shape the legacy of who that person really was due to the fact they are no longer around to represent themselves. How many of these memories become skewed by time and distort the person they really were? There are hints of Polley attempting to uncover this truth about her mother early on in that she has this image or idea in her head of who her mother was, but because it's been so long and she was so young she can only believe that this ideal is nothing more than that and is nothing like the living, breathing being the people who knew her longer and unfortunately, better might have known. 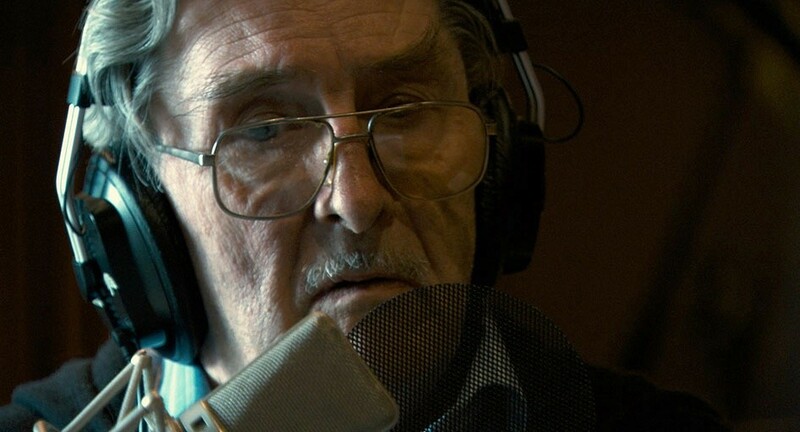 Skillfully editing the interviews with a recording of her father reading from a story whose source isn't confirmed until the ending the director lures us in with the dynamics of her family and a key element that everyone loves: a mystery. Though I say at the end of the previous paragraph that it plagued the family for years that is more for the intent of making the film all the more engaging. The truth of the matter is that it doesn't seem to have plagued them as much as having been an accepted facet of the many mysteries Diane left with her family after her untimely death. It was never anything that was taken too seriously and would more than likely have faded into nothing more than myth had it been left alone. This crux on which the story centers not only allows Sarah to come to understand her mother better though, but it also opens up new worlds for her to discover and see the after-effects of a certain incident and how vastly different it can affect the lives of those around you. As I'm writing this I'm trying not to give too much away, but one of the more fascinating aspects of the film is watching how different accounts of the same situation can look so different to the people who considered themselves close to Diane. That where your allegiances have always lied determines how you should feel, but when hearing the account of someone else who unknowingly was just as close to that central figure you begin to see how truly blind we could all be to the countless scenarios we encounter throughout our lives. Michael Polley in a recording session for his daughters film. Ultimately, the film does a fine job of painting a picture of Diane Polley which is what her director daughter's ultimate goal for the piece seems to be. Still, more than that the film brings up interesting questions and investigates how we as human beings tell stories about our lives. When looking into the past it is easy to romanticize things and that could very well be the case here in several instances, but Polley is sure to keep a fair balance between keeping things honest and her storytellers on their feet without getting too wrapped up in their emotions. Still, it is only natural when discussing someone who did impact the lives of those being interviewed in such a strong way that emotions will come to play a role eventually. What the film does well is to hold those moments off and allow the audience to become well-acquainted with the family, their personalities and the genuine ways they interact with one another so that when the emotion builds we see that it too is coming from a genuine place. It hits us in the heart with more force this way, we garner that lump in our throats, and we see ourselves in our own situations that might closely relate to those that Polley and her family have been through. It is an effective tactic that never feels calculated, but more a natural flow that comes to fruition in response to those musings about if the little moments of memories that we have of people really define who they were or are they nothing more than exactly that, moments that were flash in the pan and kind to the spirit of the person, but don't define the attitudes they carried on a day to day basis. I have always thought that Terrance Malick has composed his films more of images and music than dialogue because he is coming from a sense of nostalgia, a perspective of a time that was more innocent and therefor happier and in going about it this way he elicits something closer to our memories than the day to day of actual existence and on many levels that is more satisfying that the truth of the matter. Stories We Tell takes these ideas and exemplifies how easy it is to do this, but more importantly WHY we do this and comes to the conclusion that life will always go on, but it is up to us to take our sentence and live as we think we're supposed to or make of it what we want.